Thunder Bay is one of just eight communities to win multiple gold medals at the National Midget Championship, taking the top prize in 1995 and 1997, but it was the 1988 Thunder Bay Bearcats, including Greg Johnson, who were the first from the city to stand on the podium, winning bronze as the host team after a double-overtime loss to eventual champion Regina in the semifinals. Johnson stayed in his hometown for the 1988-89 season, helping the Thunder Bay Flyers reach the Centennial Cup, Canada's National Junior A Championship, and earning national Junior A player of the years honours. His play convinced Philadelphia to select him 33rd overall in the 1989 NHL Entry Draft, but the Flyers traded his rights to Detroit just as Johnson completed his four-year college career at the University of North Dakota. Johnson made his NHL debut during the 1993-94 season before joining Team Canada for the 1994 Olympic Winter Games, winning a silver medal. 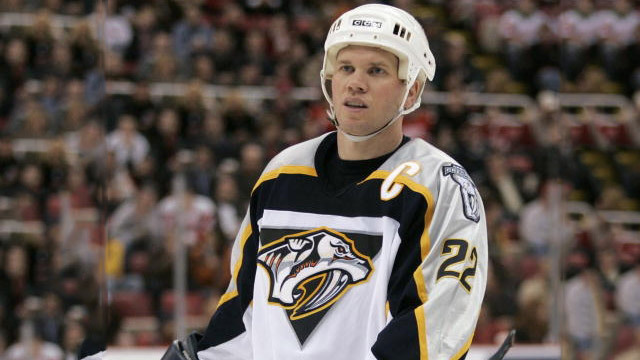 After stops in Pittsburgh and Chicago, he finished his NHL career with seven seasons in Nashville, serving as the second-ever captain of the Predators from 2002-06. The 1983 Air Canada Cup was not a particularly successful one for Don Sweeney or his Saint John Pepsi entry, which went 0-5 at the National Midget Championship in Ste-Foy, Que., the last to feature the 12-team field, and lost three of its five games by at least four goals. Sweeney went south of the border to Concord, N.H., to play U.S. high school hockey, and was drafted by Boston out of St. Paul’s School with the 166th pick of the 1984 NHL Entry Draft. After four years at Harvard, where he was an NCAA All-American during his senior year, Sweeney joined the Bruins and their AHL affiliate in Maine for the 1988-89 season, and got his first taste of NHL playoff action in 1990, when Boston reached the Stanley Cup Final. He played 15 of his 16 NHL seasons with the Bruins, finishing up with one year in Dallas, and retired third all-time in games played for Boston with 1,052, trailing only Ray Bourque and Johnny Bucyk. He rejoined the Bruins in a management role after his retirement and currently serves as the team’s assistant general manager. Sherwood-Parkdale was one of the early constants of the National Midget Championship, representing Prince Edward Island four times in the first eight years Maritime provinces sent their own representatives, although it could do no better than a pair of sixth-place finishes, in 1978 and 1983. The 1980 team, which included Gerard Gallant, settled for 11th spot, finishing the preliminary round in Cornwall, Ont., with a 1-4 record. 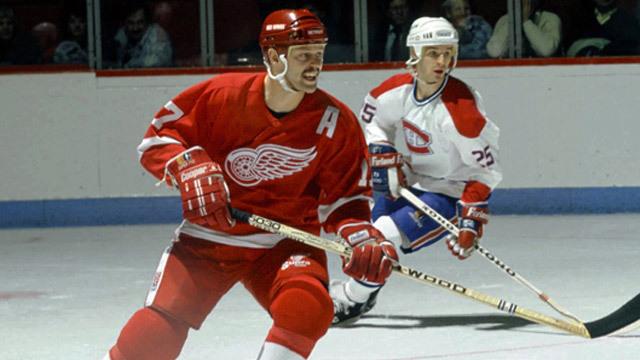 Following a successful Major Junior career, during which he played in a pair of Memorial Cups, Gallant debuted in the NHL with Detroit during the 1984-85 season. He spent parts of nine seasons with the Red Wings, and still ranks 15th on the franchise’s all-time scoring list. Gallant retired during the 1995-96 season and the following year led the Summerside Western Capitals to the Centennial Cup, Canada’s National Junior A Championship, as head coach. His coaching career eventually led him to Columbus, where he was head coach of the Blue Jackets from 2003-06; he then took over as bench boss with the Saint John Sea Dogs, winning CHL Coach of the Year twice, in 2010 and 2011, and leading the QMJHL team to a Memorial Cup title in 2011. He is currently in his first season as an assistant coach with the Montreal Canadiens. To this day, the Moncton Flyers’ fourth-place finish in 1977 is the best ever for a New Brunswick team at the National Midget Championship, and it’s thanks in very large part to the performance of Roland Melanson. The netminder took home Wrigley Cup MVP honours for leading the host Flyers to a 4-1-1 preliminary round record, although a 4-1 loss to Lac St-Louis in the prelim finale prevented Moncton from playing for gold. 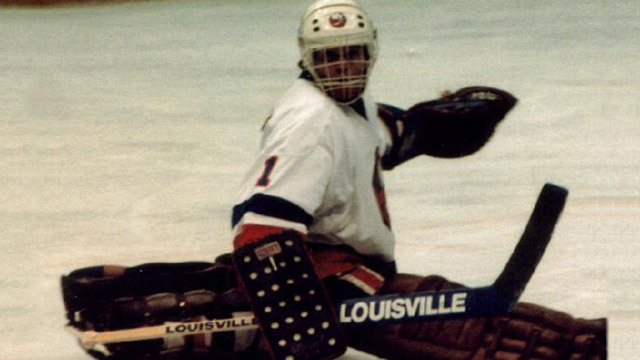 The first-ever New Brunswick-born goaltender to play in the NHL, Melanson made his debut with the New York Islanders during the 1980-81 season, playing in three playoff games to help the Islanders win their second consecutive Stanley Cup. In all, Melanson would be a part of three Stanley Cup winners in New York and was named to the NHL Second All-Star Team in 1982-83, the same year he shared the William M. Jennings Trophy with Billy Smith. After spending time with Minnesota, Los Angeles, New Jersey and Montreal, Melanson retired at the end of the 1993-94 season. He currently serves as goaltending coach for the Vancouver Canucks. One year after Sidney Crosby single-handledly led Dartmouth to the Atlantic Region’s first-ever appearance in the gold medal game, Teddy Purcell made it back-to-back National Midget Championship MVPs from Atlantic Canada, scoring six points in five preliminary round games and adding two assists in the bronze medal game, helping the St. John’s Maple Leafs to a third-place finish in Sault Ste. Marie, Ont., the best result ever for a team from Newfoundland and Labrador. Undrafted, Purcell signed as a free agent with Los Angeles after a year at the University of Maine, joining the Kings’ AHL affiliate in Manchester for the 2007-08 season, making his NHL debut in January 2008 and winning the AHL’s rookie of the year award with 83 points in 67 games. 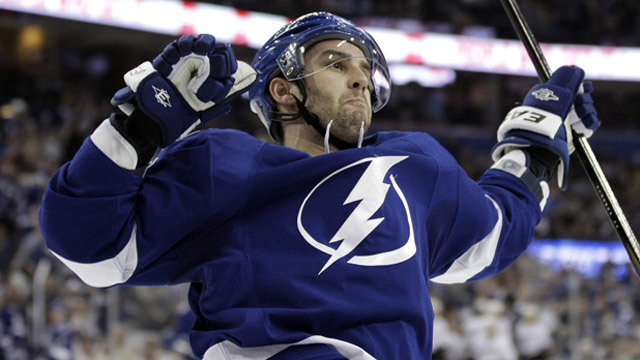 A full-time NHLer in the 2009-10 season, Purcell was dealt to Tampa Bay at the trade deadline and contributed 17 points in 18 playoff games the following year as the Lightning made a run to Game 7 of the Eastern Conference Final.